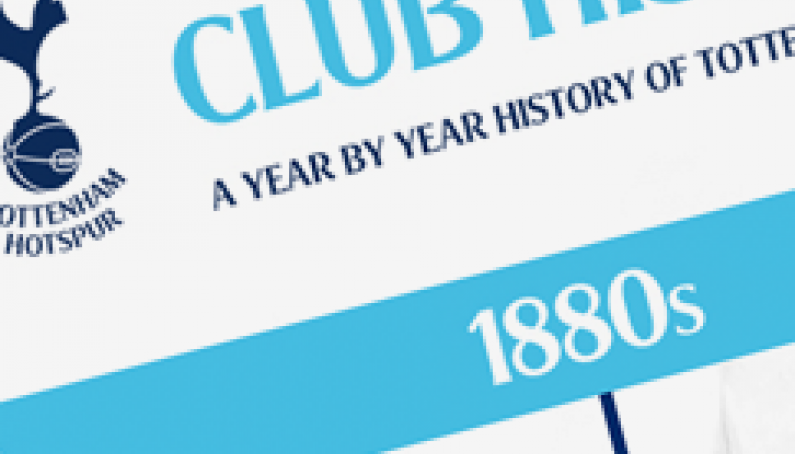 We have worked closely with the history team at Tottenham Hotspur to create this year by year club history infographic. Starting from club formation in 1882 right through to the 2013 season we can see all the successes and failures over the years including all the football trophies won. <a data-cke-saved-href="http://www.afordawards.co.uk/blog/post/2014/11/6/Tottenham-Hotspur-Club-History-Football-Trophies.aspx" href="http://www.afordawards.co.uk/blog/post/2014/11/6/Tottenham-Hotspur-Club-History-Football-Trophies.aspx" target="_blank"><img title="Tottenham Hotspur Club History" data-cke-saved-src="http://www.afordawards.co.uk/blog/image.axd?picture=2014%2f11%2fTottenham_Infographic_History_02.jpg" src="http://www.afordawards.co.uk/blog/image.axd?picture=2014%2f11%2fTottenham_Infographic_History_02.jpg" alt="Tottenham Hotspur Club History" width="725px" height="9642px" border="0" /></a><br />Tottenham Hotspur Club History created by <a data-cke-saved-href="http://www.afordawards.co.uk/trophies/sports-trophies/football-trophies.aspx" href="http://www.afordawards.co.uk/trophies/sports-trophies/football-trophies.aspx" target="_blank">Aford Awards Football Trophies</a> in conjunction with the official history team at <a data-cke-saved-href="http://www.tottenhamhotspur.com/history/honours/" href="http://www.tottenhamhotspur.com/history/honours/" target="_blank">Tottenham Hotspurs</a>.